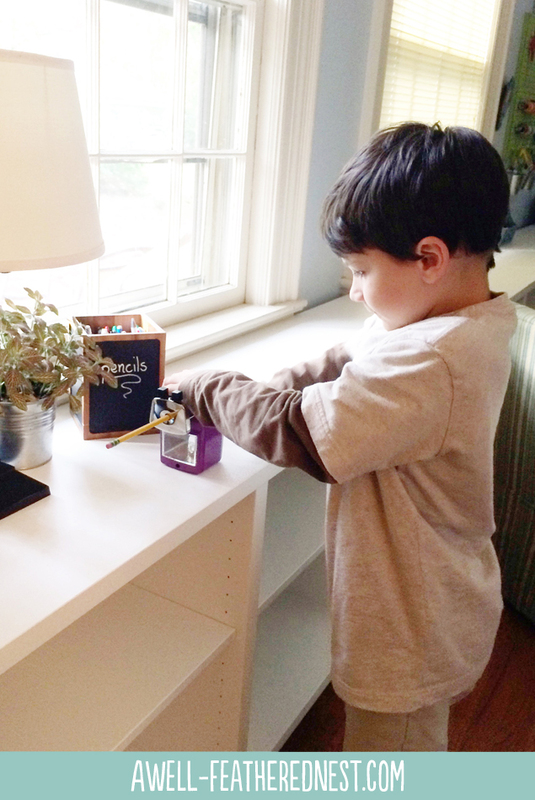 A Well-Feathered Nest: Best-ever Pencil Sharpener in Purple! 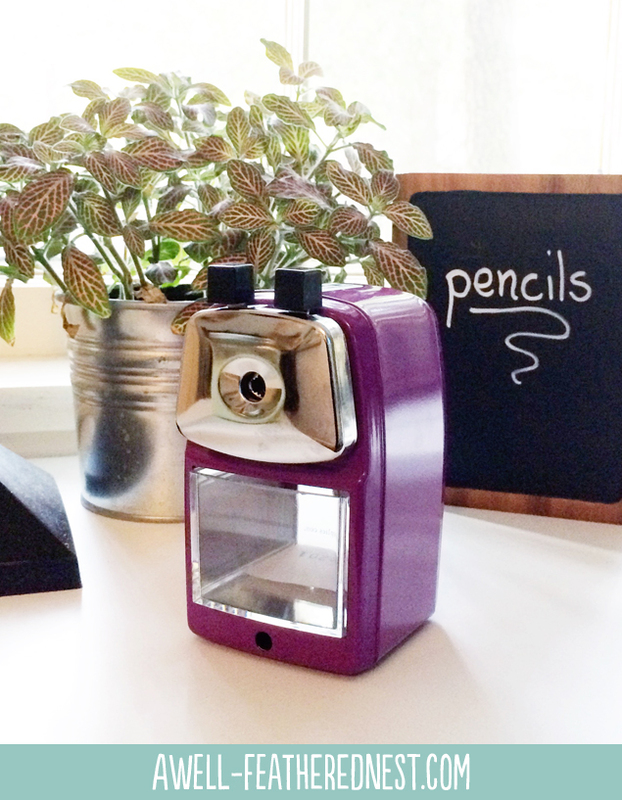 Best-ever Pencil Sharpener in Purple! I've posted here before about my love for the pencil sharpeners from Classroom Friendly Supplies, and I still believe they are the best you can get. I especially appreciate when a company that makes an excellent product also acknowledges the value of bringing a little color to our everyday lives! The purple is surely going to bring some fun to classrooms and homeschools! I first discovered these sharpeners through the recommendation of a friend of mine who is also a homeschool mom (of 6) and tutors additional children throughout the week. I've been using a green sharpener at home for the last couple of years, and I have a red one that's used by my weekly homeschool community. We've even placed bulk orders, so other moms in our group could purchase their own pencil sharpeners with the discount! My friend has been known to give them as gifts! The Classroom Friendly Supplies sharpener took me a few minutes to figure out when it first arrived because it has features I'd never seen before. Thankfully, there are instructions on the site that show you exactly how to operate the sharpener. Pictures and video are included for those of us who need to see things to figure them out. Once I saw how it worked, I fell in love with this sharpener. I love that there is a silver piece that pulls out and actually holds the pencil for you! This means you can use one hand to steady it as you turn the crank arm rather than having to bolt it down, although it does come with a clamp to attach it to a table or shelf. My kids carry it all over the house whenever they are working, so the portability is awesome. 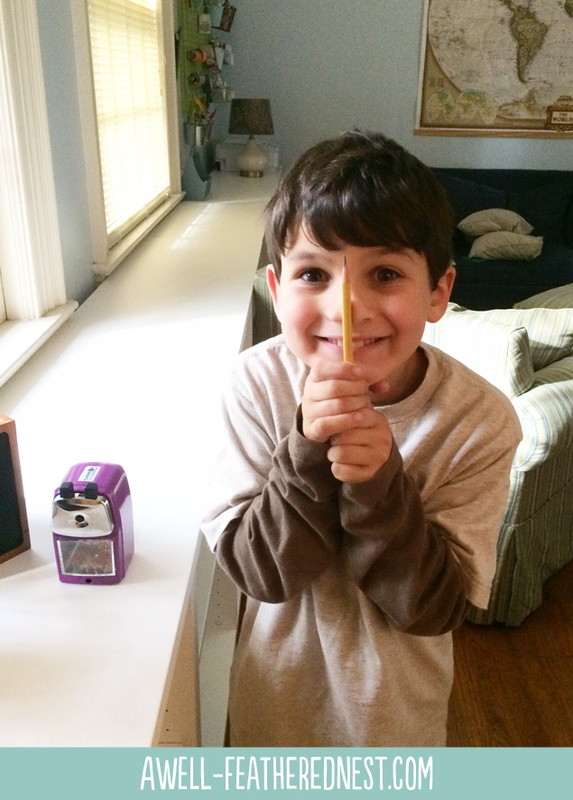 The pencil holder also means it's easy for my 7-year-old to use it on his own. Another fabulous feature is that the sharpener loosens dramatically when the pencil is sharp, so I can buy the expensive pencils without worrying that they will get eaten up by over-zealous little boys. There may be a danger of little boys thinking the sharpened pencils are weapons because they are REALLY sharp. Unfortunately, this is more a hazard of little boys than of sharp pencils. They are amazing at finding potential weapons. I, personally, appreciate a super sharp point on a traditional pencil. If you've been searching for a high quality, easy to use pencil sharpener for your classroom, office, or homeschool, this could be the one. If you are a lover of all things purple then today is your lucky day. 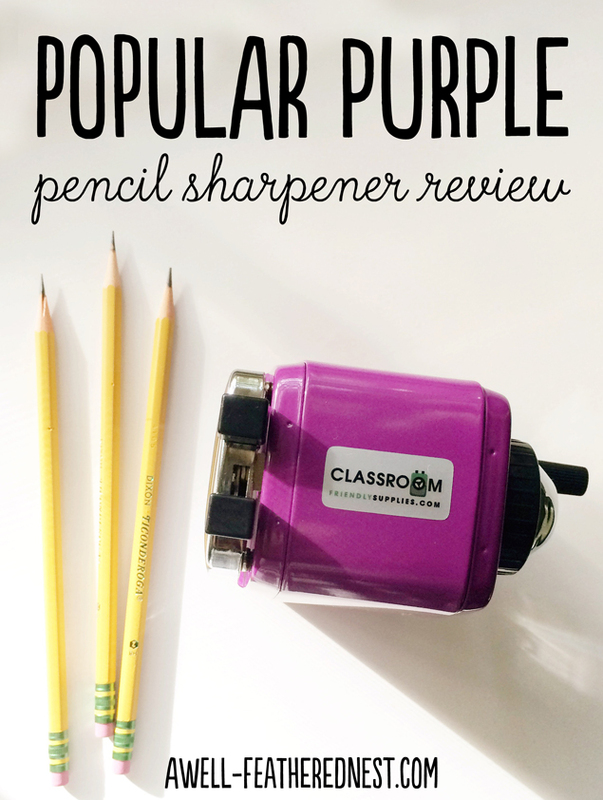 You can now order a "popular purple" pencil sharpener in addition to the other fun colors!